Back on My Feet group runs take place Monday, Wednesday and Friday morning at locations all over the city. No one understands how good it feels to give back to the community than Philadelphia nonprofits. Rendering aid to the needy and backing causes rarely backed, these organizations mostly work quietly and without recognition. Beginning today, PhillyVoice will be shining a spotlight monthly on nonprofits working across the Philly region to better people's lives. 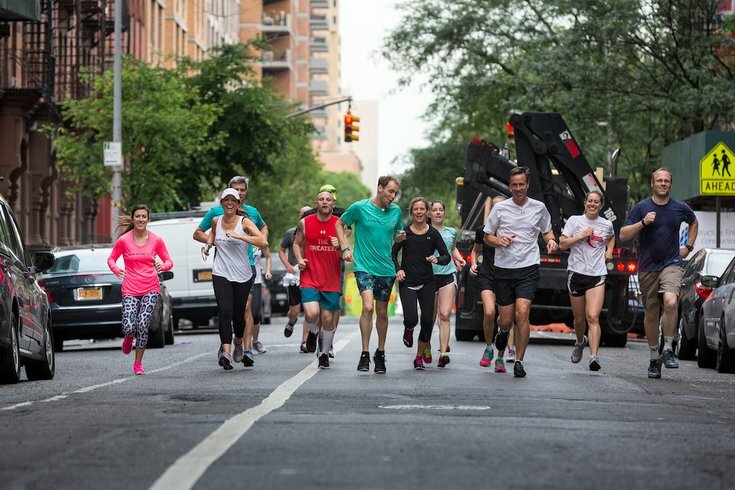 How to get involved: Volunteers accompany members for morning runs that set out from set locations all around the city, including Point Breeze, Center City, South Philadelphia and West Philadelphia for a one- to five-mile jaunt. Runners, joggers and walkers of all abilities are welcome for scheduled runs on Monday, Wednesday and Friday, though the desired volunteer commitment is once a week. A 60-minute volunteer orientation must be completed before volunteering. Sign up for the orientation here. There are also pop-up fundraising events to benefit Back on My Feet that take place all over the city. In the past, they’ve taken place at Unite Fitness, Flywheel and more. Keep an eye on their Instagram for event alerts. And if running isn't your thing, you can make a donation here. Back on My Feet is at 100 S. Broad St., Suite 2136. You can reach them by calling 215-772-1080 or emailing info@backonmyfeet.org.